Asking a computer to figure out the value of your home is kind of like asking an app on your phone to tell you what you feel like for dinner. It can make an educated guess, but in the end it’s still really only just a guess. It may think you feel like pasta or sushi since that’s what you ate the last three Saturday nights but if you really have a hankering for a burrito tonight, there’s no way a computer is going to know that. And the same is true when it comes to comparing homes. Automated valuation models are good for giving you a very broad picture of what your home might be worth, but so many factors contribute to a home’s value that it’s impossible for a computer to accurately compare one home to another. Online price comparisons are great when you’re shopping for computers, refrigerators or cars, since the product is the same no matter who you buy it from. But that doesn’t hold true when you’re comparing homes, since no two homes are exactly alike. Zillow can make an educated guess based on the location, size and the number of bedrooms and baths but it can’t tell whether (or when) the kitchen was remodeled or how old the roof, furnace or carpeting might be. An algorithm doesn’t know whether your 1/4-acre lot is flat and capable of accommodating a pool or mostly a large, steep hill. And what about views? In Benicia, you could have two identical floorplans right across the street from one another, yet one might have a $70,000 water view and the other might have no view at all. Zillow doesn’t know that. What’s more, Zillow might search for comparable sales within a half-mile radius of your home without realizing that its search boundaries include two or three different neighborhoods. So Zillow might erroneously consider an 1,800 sq. ft. home in one neighborhood as being very similar to a 2,000 sq. ft. home three blocks away, even though the homes are in decidedly different subdivisions where the values can often differ by $150,000 or more. Zillow only knows that the homes are within ¼ mile of one another and close enough in age and size, so it adjusts only for the difference in square footage and ignores the difference in value between the two neighborhoods. And it ends up with a Zestimate that’s off by $80,000-$100,000. 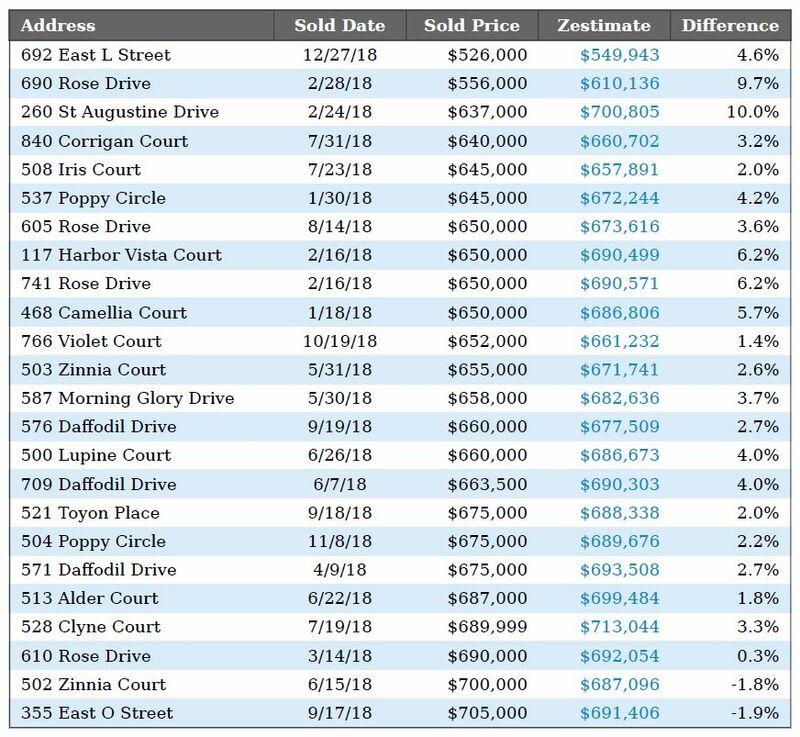 The chart below compares Zillow's Zestimates for a selection of Benicia homes with what those homes actually sold for. And as you can see, Zillow estimated a value too high on all but and two of the 24 homes on this list. And in many cases, Zillow was off by a whopping 5-10 percent. But once a homeowner sees Zillow's estimate of their home's value, it's hard for many to let go of that figure, even though the comps or an agent's professional expertise don't support it. Their elation quickly turns to disappointment when they finally realize that their home isn't worth what Zillow's computers told them but rather on what the comps and prospective buyers have to say. As you can see, relying on a Zestimate to figure out what your home is worth is a bit like throwing darts blindfolded. Occasionally, a Zestimate will come close, but there’s little chance of hitting a bullseye unless you can see the target. The only real way to determine the approximate value of your home is to by comparing apples with apples, which means contacting an experienced real estate agent. Someone who knows which factors contribute to value and which don’t. And who can assign realistic values to your home’s amenities based on the preferences of local buyers. 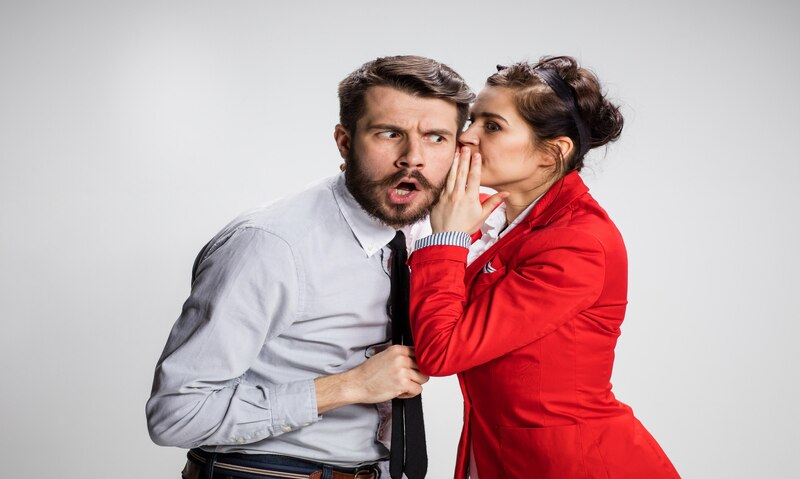 Every year, we talk to prospective clients who think they know what their home is worth, only to discover that their Zestimate was off by tens of thousands of dollars. Price your home too low and you’ll leave money on the table. Price it too high and it will sit on the market, which could cost you thousands in the long run. Price it right and you’ll give yourself the best chance of getting a realistic offer in a reasonable amount of time. Wondering what your home might be worth? We’ll be happy to visit your home and give you a realistic estimate of your home’s current value. No pressure and no obligation. But just don’t ask us what you feel like for dinner.